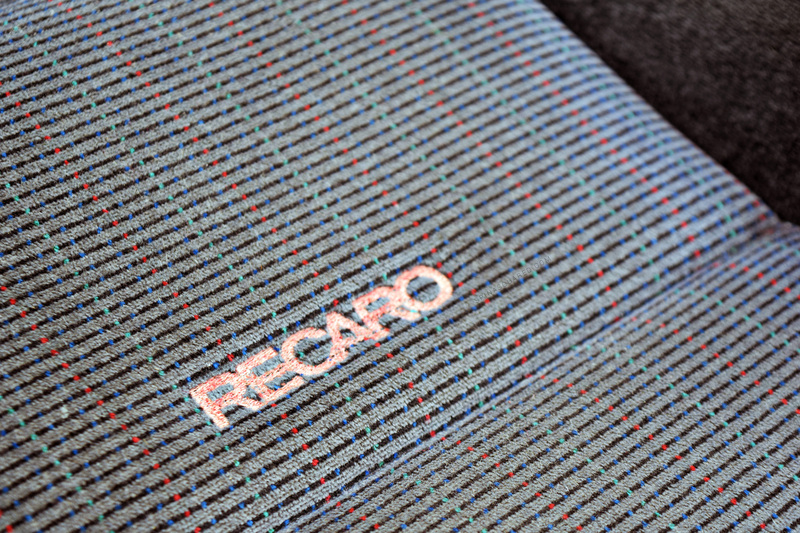 The Recaro seats we mentioned at the end of our Pt.10 update were in great shape so we picked them up. A few days later we loaded them up in the back of the caddy and revisited our good friend Mark for some help getting them wired up and installed. With the stock seats out we were able to see how much more of the floor is still in need of some clean-up and while that will be addressed in the near future, the priority is getting two clean comfortable seats in the caddy with two functioning seat belts. The original driver’s side seat belt receiver was toast, leaving us to use the passenger seat belt receiver and no (safe/legal) way of having a passenger ride along. … and after a little persuasion the Recaros slid into place and are working perfectly! The Mk2 GLI Recaros are a HUGE improvement in both seating position and comfort in the caddy. So much so that we braved it into downtown Seattle in it a couple of Sundays ago to grab some coffee at one of our favorite spots. We had a blast!